Dr. Cox has provided dental care to Richmond residents since 1976. Dr. Cox graduated from MCV Dental School. 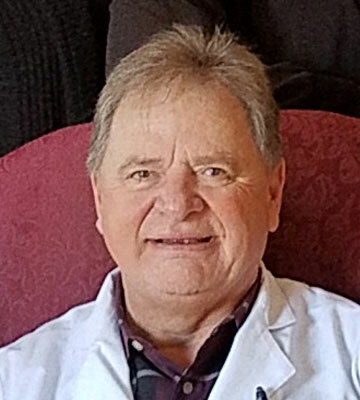 Annually attending continuing education courses enables Dr. Cox to stay at the forefront of his speciality so that he can provide optimal care to his patients, offering his patients the finest cosmetic, periodontal, and other dental care. He averages over 50 hours of continuing education per year. Dr. Cox is also dedicated to serving his local community. He donates his time monthly with Little Sisters of the Poor as their on-site dentist, contributes to St. Judes Research Hospital, provides transportation to transplant patients through Angel Flight, and is on the board of Footsteps Christian Counseling. Dr. Cox's wife's name is Eileen, and they have 10 grandchildren. Dr. Cox is a private pilot and enjoys boating and fishing. We care more than your average dentist — we genuinely care about you as an individual and are dedicated to helping you achieve your dental goals. Experience dentistry focused on you. We care more about you than the dollar. Our constant goal is to provide the absolute best dental experience around with the high-quality care available. We have your best interests in mind. At Richmond Dental Va, it’s not about the money. It’s about you. Because we care more, we take your wants and desires into consideration when recommending and performing treatment. We care about what you want done dentally, and we will find the right solutions to fit those needs. Your satisfaction is our top priority. We stay up to date on the most advanced dental technologies available. Using these technologies, such as digital x-rays, wand injections, and microabrasion fillings, helps with more accurate diagnosis, skilled and gentle treatment, and faster recovery for you. We will continue to invest in the very best so we can better serve you. How else do we show we care more? In the way we treat you! Our kind and friendly team will treat you like family, being attentive and helpful in every way. We are thoughtful and approachable, always extending a listening ear and a helping hand. We truly care about you and your family and want your experience with us to be enjoyable. Dr. Cox has been working in the dental field for over 35 years and proudly delivers high-quality results that last. Whether you are coming in for a routine checkup or a more complex procedure, you will experience accuracy, precision and detailed expertise. Dr. Cox is highly trained and stands behind his work for you, even offering warranties to ensure your ultimate satisfaction. At our practice, we perform microabrasion fillings for your comfort and convenience. Microabrasion is a quick and painless procedure that uses air and tiny sand particles to effectively remove tooth decay. With microabrasion there is no drilling, no numbing shots and virtually no pain!